Spinal cord injury often results in permanent loss of sensation, strength and other body functions below the portion of the injury. 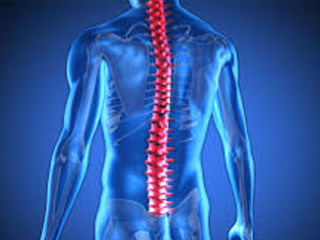 In spinal cord injuries there is damage to any part of the spinal cord or nerves. If a person has suffered a spinal cord injury of late, he/she might have noticed that every aspect of life has been taken a hit. One might feel the aftereffects of the injury mentally, emotionally and socially. However, the silver lining is many researchers are hopeful that advancements in medical science will one day make the repairs of the spinal cord injuries a reality. Research studies in this direction are being carried out across the globe. Meanwhile, many people affected with spinal cord injuries can lead a productive, independent and content life with proper treatments and rehabilitation. As for the complications arising out of spinal cord injuries, they are manifold. They include functional, psychological and socioeconomic disorders. Apart from these there are long-term secondary complications that influence the continuation of care for patients with spinal cord injuries. Suffice to say complications are an offshoot of spinal cord injuries that may even lead to morbidity and mortality. One’s employability can also be affected, leading to overall quality of life. As the purpose of this article is to touch upon medical comorbidities arising out of spinal cord injuries, let us focus on that aspect of the condition. Spinal cord being critical to a wide variety of body functions, spinal cord injuries can cause both long-term and short-term complications. Managing these complications in the right way is an important part of the recovery phase. Pneumonia and asthma are the generally found long-term complications because the muscles that aid breathing are weakened. Assisted-breathing is necessary if there is damage to the nerves passing through diaphragm. Drugs prescribed by the physician can be taken to tackle this issue. Moreover, patients are encouraged to get an annual shot of flu. Because of the spinal cord injury heart rate can slow down remarkably or increase to an alarming level. This will lead to cardiac issues and low blood pressure eventually requiring intravenous blood infusions. Autonomic dysreflexia is a medical condition that happens when a stimulus underneath the site of the injury triggers a message to the brain, but that cannot be delivered, for e.g. irritation of the skin or blockage of the catheter. As a result of this the blood vessels is constricted, leading to a reduced heart rate and high blood pressure. Autonomic dysreflexia multiplies the risk of stroke and at times seizures. Sometimes this condition can be reversed if the patient assumes another position or by removal of the stimulus. Blood clots are of specific concern for patients with spinal cord injuries. As the patients are bound to be largely immobile after the injury, it reduces blood flow through the veins. In order to prevent clotting patients are often prescribed blood-thinning medicines. Pain emanates from nervous tissue is called neurogenic pain. Burning and stinging sensations are prevalent. It may even occur in hands and legs that may no longer have movement or feeling. Using other parts of the body to circumvent paralysed limbs can also lead to pain, for e.g. using hands to set the wheelchair in motion. Medical treatment includes medications, acupuncture, surgery and spinal or brain electrical stimulation. Uncontrolled limb movements due to reflex are called spasms. The condition comes into play when the nerves in the spinal cord are damaged by the injury. Because of the damage the nerves and the brain cannot communicate properly. However, medical treatments are available to help bring down spasticity. In some cases these spasms are a blessing in disguise as they help improve muscle tone in the affected areas, thereby resulting improved limb stability and mobility. Urinary tract infection (UTI), kidney infection and difficulty passing motion occur when there is damage to the nerves that control these functions. There is no coordination between body and the brain. Bowel and bladder may empty uncontrollably. Eating a fibre-rich diet and drinking plenty of water can sometimes help control these problems. In some cases, catheters and drugs are also used. Spinal cord injuries can often cause sexual dysfunction and fertility issues. Generally, men are more prone to these problems than women. Doctors may prescribe drugs and other treatment modalities to enhance fertility. Pregnancy is considered highly risky and should only be considered after consulting a qualified health care provider. As a patient with spinal cord injury cannot exercise properly and cannot have a normal diet weight of the patient can go either up or down depending on the person’s physical constitution. Therapists and nutritionists can be of great help here in enhancing the patient’s healthy habits through work outs and proper diet. Depression is another serious complication that patients with spinal cord injuries can undergo. During the recuperating phase patients may feel sad, grief, and stress. A caring network of family and friends can bring a positive energy in an otherwise gloomy life of the patient. The role of therapists during this phase is very critical to the overall wellbeing of the patient. Stem Cell Therapy has shown remarkable results in treating patients with Spinal Cord Injuries. Apart from the therapy, our rehabilitation program is customized to suit the needs of each patient. Rehab is given with the aim of making the patient as independent as possible. Pressure sores are a major complication of spinal cord injuries, more common than any of the other complications. It happens due to physical inactivity. Patients with spinal cord injuries have a higher risk of venous thromboembolism and pressure ulcers. In fact pressure sores are the most common secondary complication after spinal cord injuries. Depending on the neurological level of your injury, you may have lost part of or all skin sensations. Therefore, your skin cannot send a message to your brain when it is injured by certain things such as prolonged pressure, heat or cold. This can make the patient more susceptible to pressure sores, but changing positions frequently, with help if needed, can help prevent these sores. Joint and soft tissue contractures are also very common after spinal cord injuries. It is where rehabilitative intervention plays a vital part, especially physiotherapy.